Originally established in 1942 as AEM, the Aviation Electrician’s Mate rating was changed to AE in 1948. The purview of the AE encompasses both electrical systems and aircraft instrumentation, including power generation and storage (e.g., aircraft batteries), lighting systems, electrical components of aircraft controls (landing gear, engine power plant, warning systems, automated flight control and stabilization, etc. ), and aircraft compass and inertial navigation systems. Sailors who wish to pursue the AE rating and who meet the rating entry requirements will first undergo common basic electronics training; successful completion of that course is followed by attendance at the Aviation Electrician Class “A” in Pensacola, Florida for fifteen weeks of group instruction in basic aviation theory, electronics theory, and electrical aviation systems. Upon completion of the Class “A” training, AEs will be assigned to a Naval Air Station, an aircraft carrier or other aircraft-capable ship, or some other type of aviation facility either in the U.S. or abroad. Secondary “C” schools, located at various Naval Air Stations around the country, offer advanced training in specific fields. Over the course of a 20-year Naval career, AEs are likely to spend sixty percent of their time on fleet assignment. 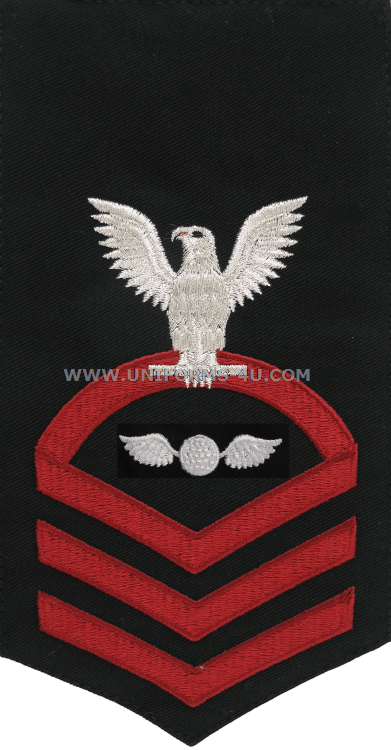 Upon reaching a paygrade of E9, the AE rating is merged with the Aviation Electronics Technician (AT) rating in the AVCM rating, Master Chief Avionics Technician.